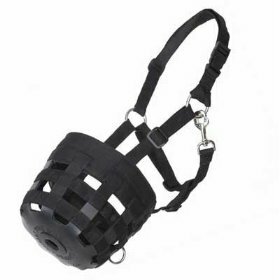 An exceptionally durable and safe grazing muzzle. This halter/muzzle provides a good fit and minimizes rubbing. The Horse Journal has consistently chosen these muzzles as the top rated grazing muzzles due to the design and durability. Others have tried to copy the Best Friend grazing muzzle, but have been unable to duplicate the good fit and quality.